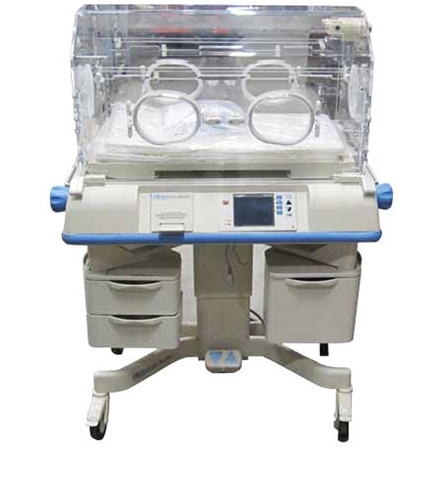 The Dräger Isolette C2000 provides an ideal microenvironment system for premature babies and sick infants by providing a controlled environment of warmth and humidity. This high-performance incubator combines excellent thermoregulation, ergonomic design, and dependability. An advanced thermoregulation system, controlled by Dräger’s PID algorithm, keeps the baby in a stable environment. Very low air velocity over the mattress area creates a calm zone that surrounds the neonate to inhibit convective heat loss, while dual air curtains and preemptive regulation mechanisms maintain virtually stable conditions during access to the infant.